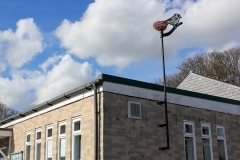 A goldfinch weather vane spins around its nest on The Cluntergate Centre. Laser-cut steel, galvanized painted and power coated. 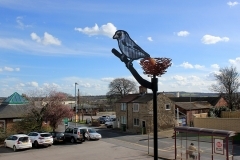 5m high, bird approx 0.5mx0.5m. 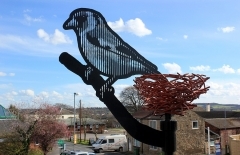 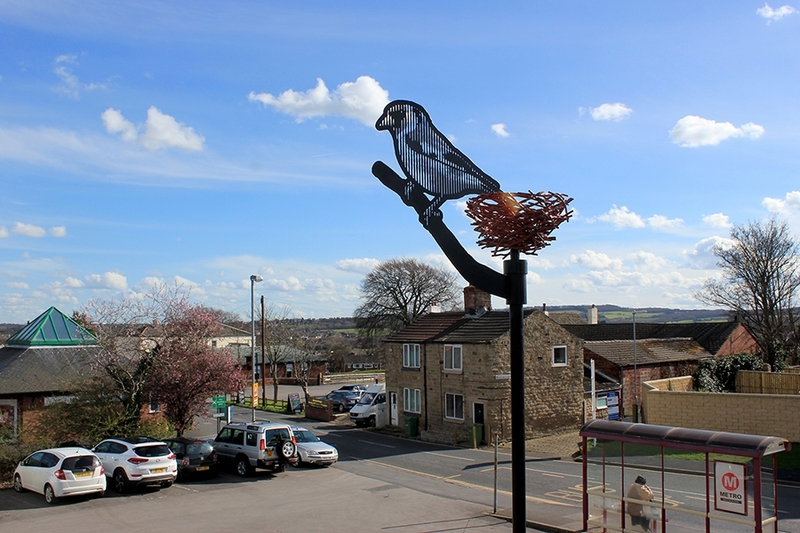 Commissioned by Horbury Community Centre Trust.Managed by RKL Consultants.